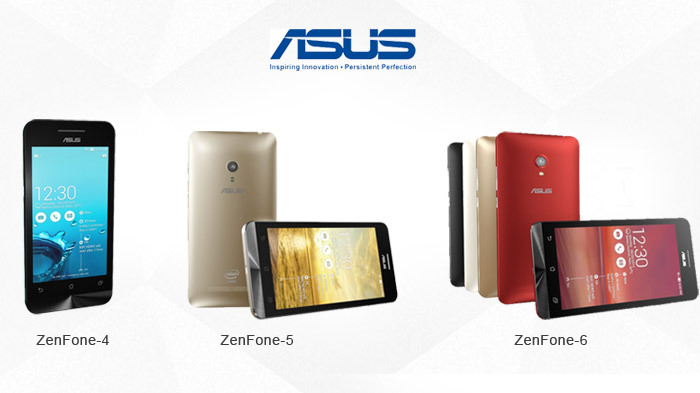 Update 04 th June ’15 : Asus has now started rolling out update Zenfone 4, Zenfone 5 & Zenfone 6. After the successful global launch of Asus Zenfone 2, Asus has announced today that Android Lollipop update for the ASUS Zenfone Series First Generation (4, 5 and 6 inch) is expected sooner than the anticipations. According to the company, It is in the final testing stage and ASUS will announce the schedule of the arrival soon. The first generation of Zenfone series devices like Zenfone 4, Zenfone 5 & Zenfone 6 which were launched last year, have received overwhelming response in India. With premium build quality, lucrative set of features & impressively low prices, these devices showed clear line of success for Asus Mobiles in India. And to give great new experience of Android 5.0 Lollipop to Asus Zenfone series smartphone users, Asus has announced this news today. With this update, Asus became one of very few mobile manufacturers, that have provided the Android 5.0 update to its budget series, within a short period of time. With New Lollipop update Asus Zenfone users will get faster user interface, new materialistic design, camera improvements and security features. There are no talks of new ZenUI update with this OTA updates, but it is expected to reveal with update release news. ASUS Partners Overcart.com For Refurbished Zenfone Series And To Reduce E-Waste!